We’re counting down the days in December until Christmas! And we’re celebrating one of our favorite holidays with four weekends of Horseshoe Holiday Markets at Belmar. If you missed the first weekend earlier this month, don’t worry: there are three weekends of Horseshoe Holiday Markets AND the retail shop left in December! 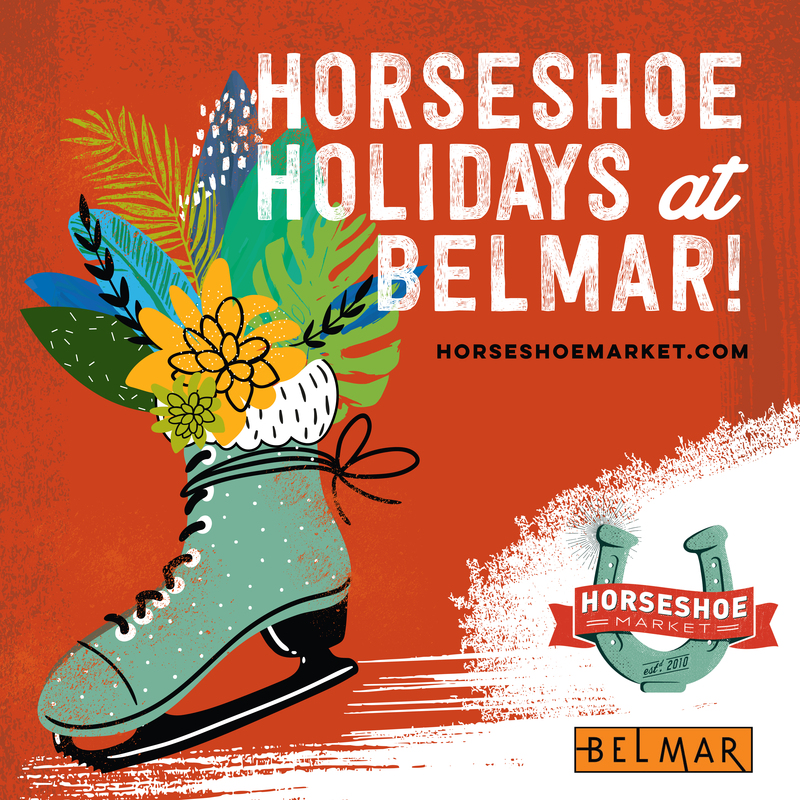 Here we’ll do a quick rundown of commonly asked questions about Horseshoe Holiday Markets at Belmar, so you can have all the information you need to start (or finish) your holiday shopping. 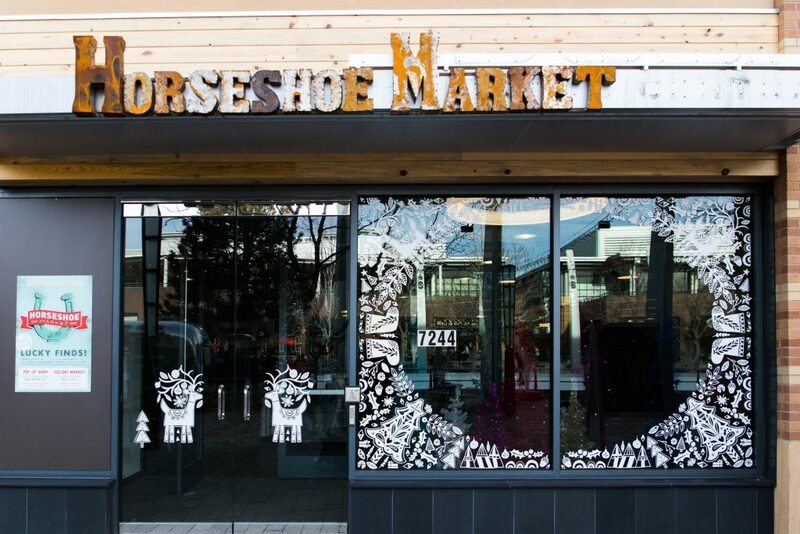 What are the Horseshoe Holiday Markets at Belmar? 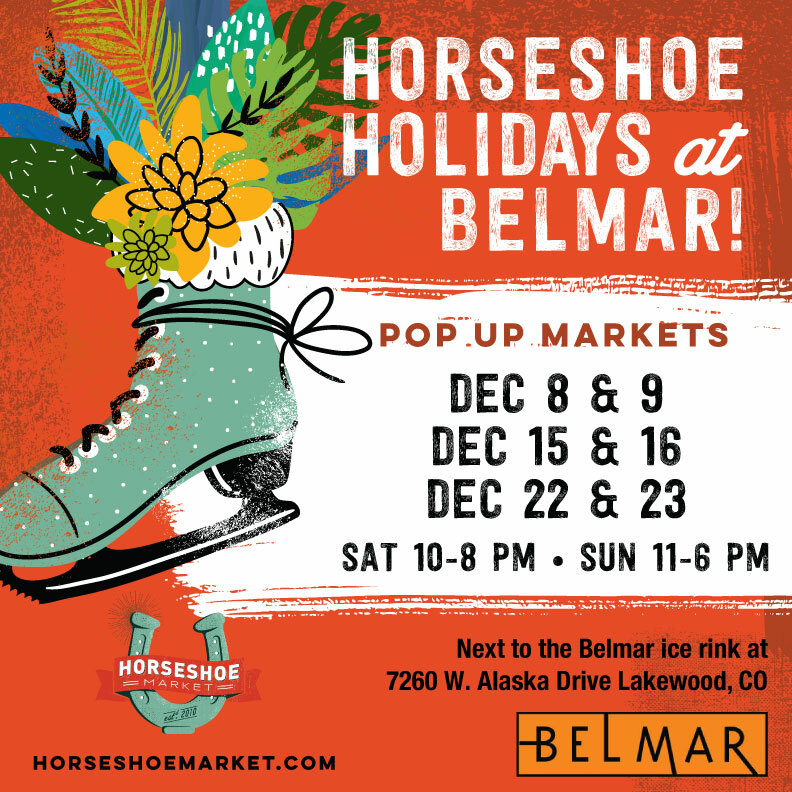 Our first weekend at Belmar was a blast, but you still have time to check out the Horseshoe Holiday Markets the next 3 Saturdays and Sundays in December. Don’t forget the dates! Our markets at Belmar are open Saturdays from 10 am – 8 pm, and Sundays from 11 am – 6 pm. What is the Horseshoe Retail Shop? The Horseshoe Retail Shop is a pop up shop held at the Horseshoe Holiday Markets at Belmar, IN ADDITION to the market. In the Horseshoe Retail Shop, you can find products from some of our favorite vendors at the market all in one spot. The Horseshoe Retail Shop is also open on Fridays for when you want to get a jump start on your weekend shopping! The Horseshoe Retail Shop is open Fridays and Saturdays from 10 am – 8 pm, and Sundays from 11 am – 6 pm. Where are the Horseshoe Holiday Markets at Belmar held? Each weekend event is held indoors in the main Belmar Plaza next to the ice rink (so you don’t have to battle the cold!) We’re between the Target and Century 16 Belmar movie theater. There’s plenty of free covered parking around the shopping district, plus metered street parking nearby. Come shop the market for loved ones, then catch a movie with your significant other, or take the kiddos for some fun at the ice skating rink! Admission is ALWAYS FREE. Bring your kids, bring your parents, or bring your dog friends. We’re dog-friendly too! What can I expect at a Horseshoe Holiday Market at Belmar? You can expect a cozy, low-stress and fun shopping experience in the Belmar Plaza. Check out our full list of vendors that changes each weekend. And if you missed our Holiday Market at the Masonic Temple, this weekend, weekend THREE, is our biggest weekend and with many vendors from that market. We’ll have vintage apparel; handcrafted jewelry and leather accessories; great stocking stuffers like local jams, candles, and bath and beauty products; and so much more! So much, in fact, that we’re creating a quick gift guide for the Horseshoe Holiday Market at Belmar soon. Last-minute shoppers, this gift guide will be for you! Early birds who have gotten their holiday shopping done already, what #luckyfinds did you pick up at the Horseshoe Holiday Market or Horseshoe Retail Shop? Share them on Instagram or Facebook and tag us! We can’t wait to see you at our next Horseshoe Holiday Market at Belmar weekend!